Of all the classic staples contained within a jewelry collection, bold bracelets tend to leave the most lasting kind of impression. But why exactly is this so? When it comes to embellishing our bodies with gems and jewels, most individuals tend to associate the brightest, most statement-making pieces with our assets we want to emphasize. 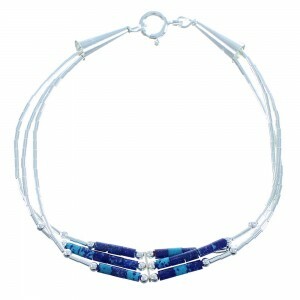 A dainty chain necklace drawing eyes to a plunging neckline. A pair of flashy, boldly painted sterling silver earrings to frame a face. And while a wrist or forearm might not be first body part a person tends to associate with beauty, wearing a brilliantly bold, classic cuff or bangle can invoke just the slightest hint of sensuality and pocket-sized dash of personality and expression. But while dainty beaded bracelets or chunky cuffs may be dense in personal flair, the unique expression contained within SilverTribe’s vault of classic bracelets goes far beyond an aesthetic allure. Our collection of earthy pieces are crafted with a dash of southwest style, reflecting the awe-inspiring canvas the region is world-renowned for. 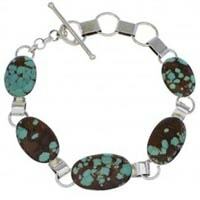 And now, SilverTribe urges you to explore our vast collection of piercing turquoise, rich coral, earthy amber and exotic opal bracelets to add to your unique jewelry ensemble. 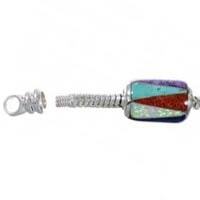 Captivatingly rich corals, curiously sky-blue turquoises, rustic ambers and piercing onyxes and opals. The kinds of bold hues painted across SilverTribe’s collection of sterling silver bracelets reflect an awe-inspiring, multi-colored landscape synonymous with the southwestern United States. From the careening river beds from within chalky canyons, to the flaming sunsets painted with pink and red streaks, the artists teamed up with SilverTribe use their surroundings as a primary inspiration. And it’s a trend not merely limited to the people indigenous to the area. In recent years, sterling silver jewelry contrasted with stunningly rich, earthy colors has taken spotlight in several fashion magazines, runways and red carpets. 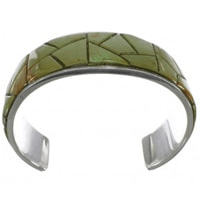 And more often than not, these highlighted pieces tend to come in the form of southwest-style bracelets, beaming with rich, natural hues and luster. One of the most popular kinds of cuffs and beaded bangles contained within SilverTribe’s timeless jewelry vaults is our captivating collection of turquoise bracelets. 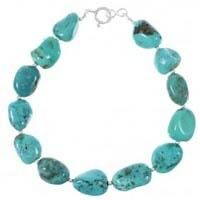 Although the turquoise stone has a uniquely historic context behind it, stylists and designers have been continually captivated by the hue’s flattering nature, playful demeanor and sparkling shine. Best paired with a neutral black, grey, white or brown ensemble, a slight dash of turquoise – especially via well-placed bangles or bracelets – can complement most any skin type, frame, figure and personality. Amber bracelets, on the other hand, tend to relay a much different personal expression and emotion. Extracted from ancient, fossilized tree resin, amber emits an earthy, warm honey-brown glow. Best when paired with a similarly earthy color like coral, rich pink or turquoise itself, amber gives off a much more muted nature. But while the stone may seem somewhat less eye-catching than coral or turquoise, the draw behind this hue is subtly captivating. 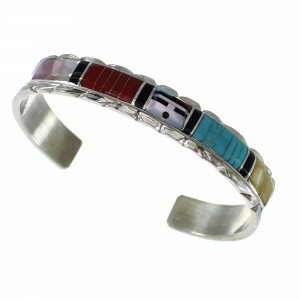 While many of the classic southwest bracelets in SilverTribe’s inventory come themed with a particularly bold color, style and shape, a sizable selection of our most popular kinds of jewelry is multicolored. A uniquely fresh concoction of an earthy array of gemstones and colors, our multicolored bracelets are designed for the boldest of wearers. Although any piece contained within our vaults is sure to make a serious statement, our hue-spotted bracelets are sure to catch the eye of more than a few onlookers. We urge you to browse what other kinds of turquoise, coral, amber and multicolored pieces our timeless vaults have to offer. 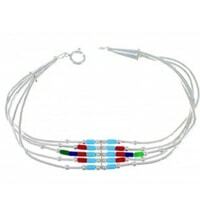 While the inlaid colored stones contained within our cuffs, beads and bangles are cause for an enticing, dynamic effect, there’s something to be said for the shape and frame of the sterling silver canvas our bracelets are molded from. Sterling silver has been revered around the world for its bull-like durability, incredible luster, lack of fade and luminescent sheen. Although SilverTribe offers a wide variety metals to choose from, our sterling silver pieces – especially that of bracelets – tends to reign supreme in popularity. But while there’s no doubting the durable metal’s lustrous shine, it’s the shapes and styles that sterling silver is meticulously molded into that can cause the most dramatic effects. SilverTribe offers a sizable selection of dangly bangles, chunky cuffs, beaded bracelets and simple bands to complement any wrist, forearm or hand. Every kind of bracelet contained within our vaults – small or large, overstated or understated – comes packed with a unique kind of personal expression. Looking to capture a few eyes and relay a bold reflection of confidence? 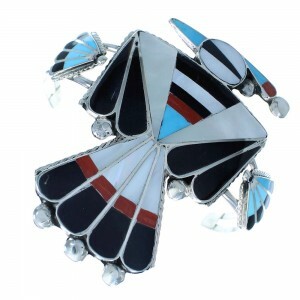 Better opt for a brilliantly-colored, chunky cuff. Attempting to emphasize a dainty wrist? 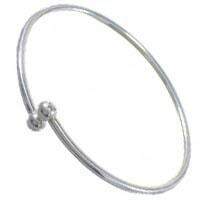 Consider dangling an effortlessly elegant charm band. Looking to convey a distinct, alternative and colorful style? 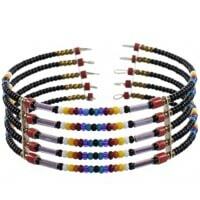 Try adding a beaded bracelet to your ensemble. 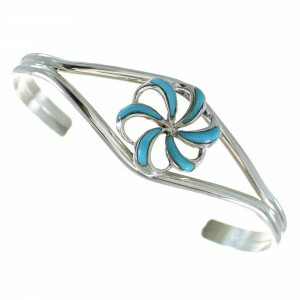 Explore what kinds of classically elegant or drastically bold bracelet you can find within SilverTribe’s inventory today. When it comes to owning timeless, meticulously crafted jewelry pieces, it can be all too common to find yourself sacrificing style for cash. But at SilverTribe, we’re adamant believers that the best kind of unique expression and the most fashionable statements of style shouldn’t come with an eye-watering price tag. 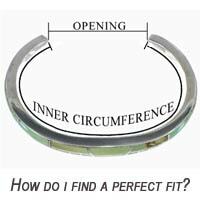 All of our jewelry pieces, whether it be bold bracelets, dainty earrings, charming necklines and pendants, bull-like bolos and belt buckles or classic watches, contain both a unique craftsmanship and affordable price. And what’s more, as SilverTribe’s way of saying thank you to all of our highly-valued customers, we are now offering FREE shipping on all of our timeless jewelry pieces to add to your collection. And with already rock-bottom prices scaling down each day, the opportunities to save are endless. 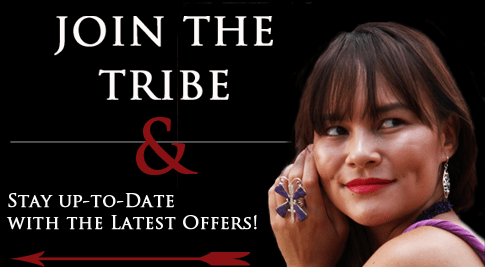 To become a part of SilverTribe’s exclusive email list, and receive several promotional offers, seasonal giveaways and superb sales, be sure to sign up on our homepage for FREE.